Do you still have a single password to the many online services you have accounts with? That's a sure way to invite trouble. Once your password gets stolen from one of such services, all your other accounts sharing the same passwords are at immediate risk. The only way to ensure security is by using unique passwords for each and every Web site that requires an account to log in. But how do you have dozens of unique passwords and not forget them? Some people are using passwords that are easy for them to remember, such as part of their name or an important date or phone number. 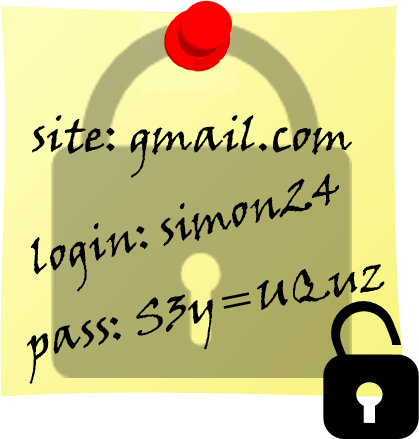 The problem is that such passwords are as easy to guess by a malicious person as they are to remember. Others use the notorious yellow stickers with passwords written on them in plain text. This approach, which is especially popular in organizations, is no better than not having a password at all, and pose a real security threat to your online accounts. So, really, how do you remember all those passwords? Actually, this is quite easy thanks to the help your computer can provide! Computers never forget anything, unless they are specifically told to. Even better, computers are smart enough to protect your passwords from malicious attackers. Modern computers are strong enough to withstand attacks on your passwords performed by today's most powerful supercomputers for hundreds of years! All you need to remember and protect your passwords is a small and simple password keeper software. 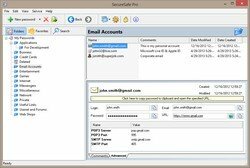 SecureSafe Pro password manager will not only store all your passwords, but securely protect them against malicious attackers with a single Master Password - the only password that you will have to remember from now on! 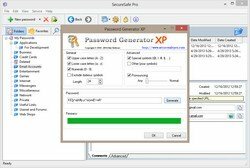 SecureSafe Pro password manager employs industry standard encryption to ensure that your passwords can not be stolen and deciphered in this century even if they use a military supercomputer to do that. You will get more secure than ever thanks to the built-in secure password generator that will create unique, cryptographically strong passwords that cannot be guessed or cracked with a dictionary. But wait... What if the dozens of passwords you never bothered to remember are lost due to computer crash or hard disk failure? Are you doomed to use password recovery feature on all the sites, and never trust a password keeper again? You might be with some other product, but not SecureSafe Pro! 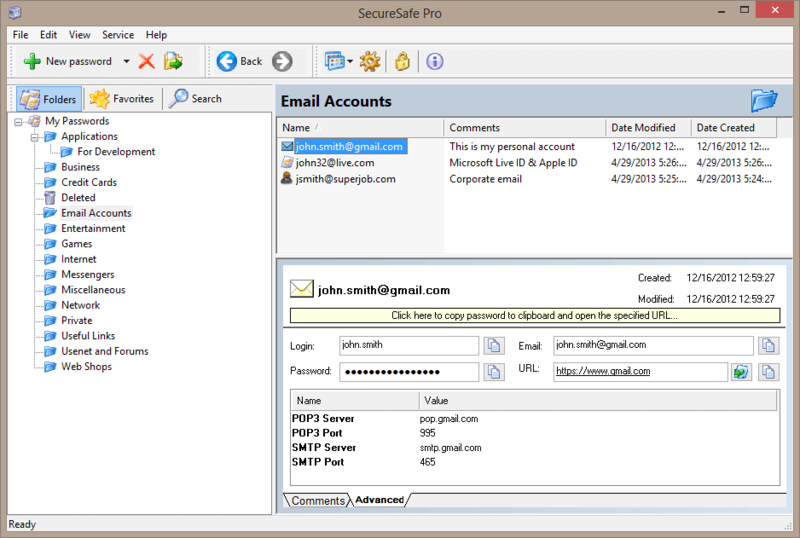 With SecureSafe Pro password manager application, your passwords are always backed up automatically on regular basis. If you have an USB flash memory card, external hard drive or a cloud syncing account, you can tell the program to back up your passwords there. When you do this, you are completely safe - forever! 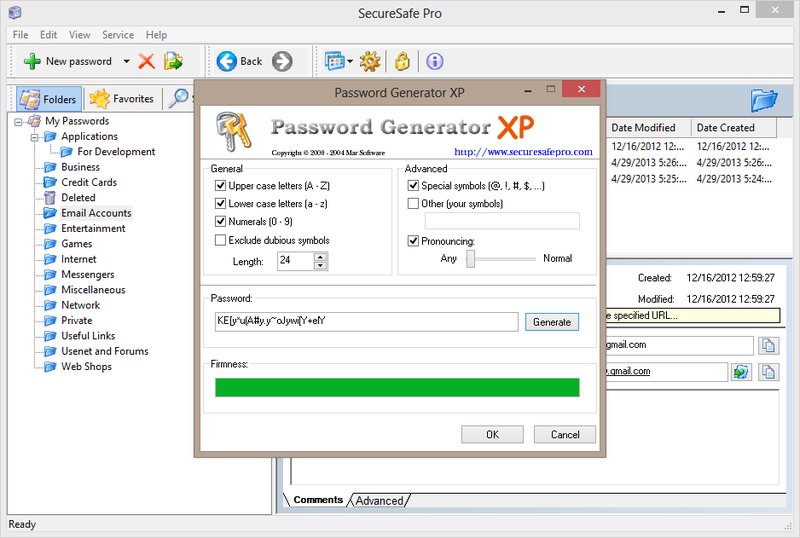 Even if your computer explodes, you can simply download SecureSafe Pro, connect a backup drive, and tell the program to take your passwords from there - it's that easy!